School’s out! While we often think of school as our children’s main source of enrichment and education, Idaho youth spend nearly 80 percent of their waking hours outside of a classroom. As summer offers a well-deserved break, it is also a crucial time to continue to encourage and cultivate a love of learning. Summer can provide opportunities to explore areas that may be intimidating in formal settings, such as science, technology, engineering and math, known as STEM. Without the pressure of grades, kids are more inclined to test, try, repeat, create, and even fail in out-of-school/summer programs; which any engineer, scientist, innovator or mathematician will tell you are keys to success. We are experiencing a “silver tsunami” in the STEM field, with over half of the workforce retiring within the next five years. Now, more than ever, there is high demand for the next generation to become involved in STEM. And the demand for these types of jobs is growing 1.5 times faster than in other fields. So there are huge incentives and opportunities for youth to get involved in these fields of study. According to the State of Girls 2017, from the Girl Scout Research Institute, the economic health of girls within the United States has declined since 2007. The potential to narrow the wage gap for girls is there. Summertime exposure to STEM can actually be transformative for all youth. Even if they opt not to pursue a STEM career, access to STEM programming develops critical thinking and problem solving skills—skills essential to our ever-changing economy. More importantly, the Idaho Healthy Youth Survey confirms that youths who participate in an out-of-school activity a minimum of once a week were much less likely to engage in unhealthy behaviors. The good news is that there are many amazing camps and programs teaching STEM this summer. And helping parents and youth statewide connect with out-of-school programs is a core part of our mission at the Idaho Out-of-School Network. We host an online directory of more than 450 out-of-school programs, searchable by topic, zip code, age, and cost. For households on tight budgets, many programs, like those offered in local libraries, offer STEM programs for free, and others offer scholarships or sliding-scale rates. 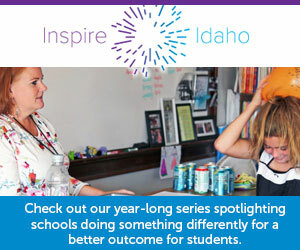 Visit idahooutofschool.org to find a program near you! If you offer an out-of-school program, visit the website to register your program in the directory and consider attending our Power Up Summit for out-of-schooltime providers Sept. 10 to 11 at Boise State. Let’s take advantage of summer to build strong futures and active minds! Anna Almerico is the director of the Idaho Out-of-School Network, a program of Jannus, Inc.